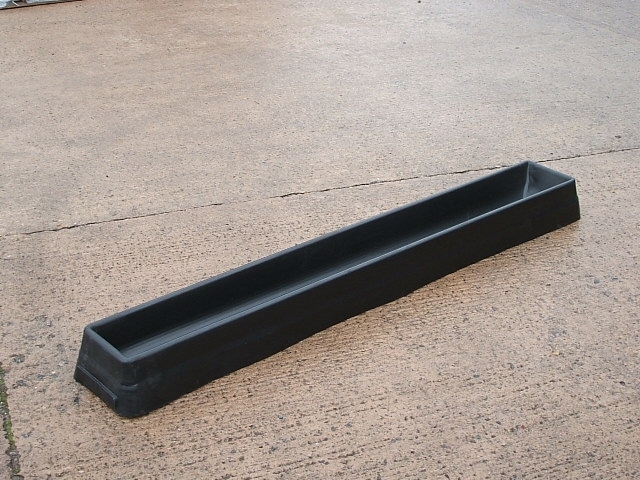 Plastic Ground Trough. 2m. 33ltrs. Hard wearing feed trough, UV and frost resistant with smooth interior and exterior surfaces making them easy to clean and disinfect. Stacks away when not in use saving valuable space. Delivery charges for this product will depend on your location, quantity ordered and may be free. Please email for details.